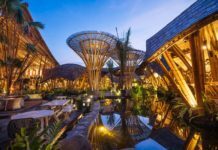 An exciting new oasis has opened in Tuban, one of Kuta’s busiest tourism areas, bringing a refreshing concept that is sure to delight residents and visitors to the area. 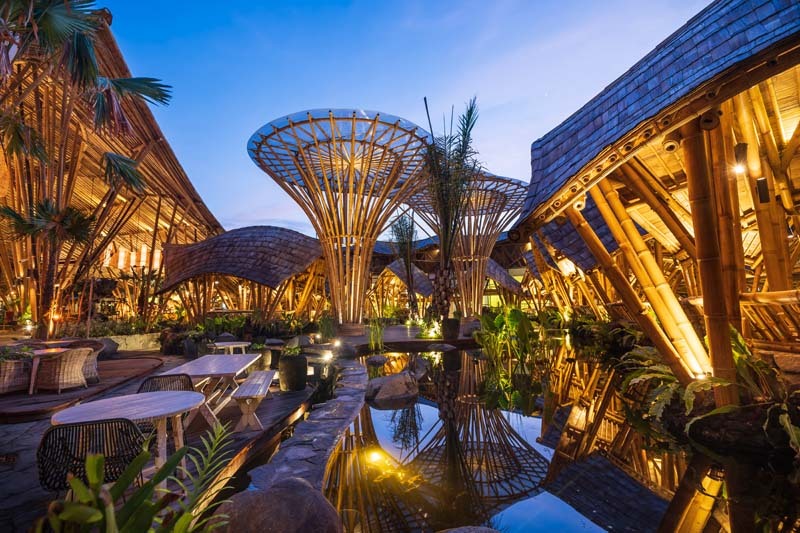 Offering a laidback Balinese experience, Wanaku IndoAsian Cuisine is easily identified thanks to its swirling bamboo architecture. Literally a breath of fresh air, guests are offered a range of experiences at Wanaku, whether they are looking for a hearty meal or to relax over a drink or two, or to take in some jazz from prestigious Indonesian artists, enjoy traditional entertainment, hold a meeting, celebrate a special occasion or spend some time relaxing before an evening flight out of Bali’s nearby international airport. 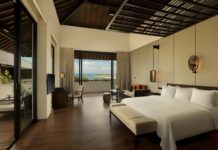 Wanaku is cleverly split into different areas that gently blend into each other to comfortably achieve all these options for a great guest experience across the 5,000sq.m. venue. A spacious lounge area by the long bar and the gelato counter beckons guests to sink into a seat and catch up with friends, perhaps while waiting for that evening flight – there is luggage storage and even showers for your comfort. 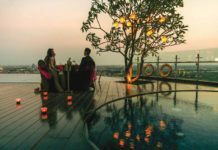 The drinks menu is creative and offers plenty of great well-known tipples, as well as taking popular beverages from various places across Indonesia’s widespread islands and turning them into modern drinks and cocktails with an interesting twist. 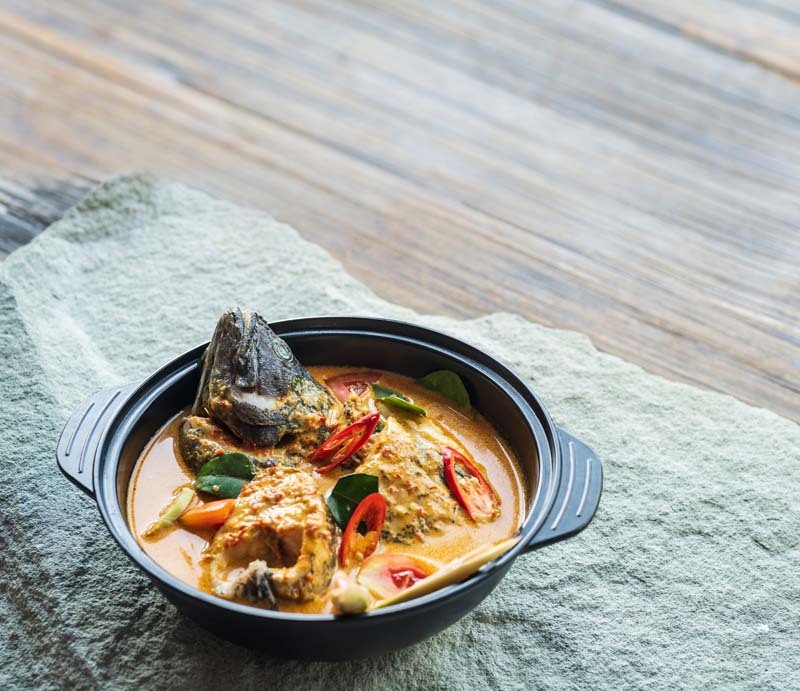 Try Papuan matoa, Javanese pletok or Sulawesi’s saraba, all tweaked to better suit a more international palate. Dining is, as evident in the restaurant name, IndoAsian and very satiating. The popular signature dish is the Balinese megibung – a platter of local favourites designed to be shared among the whole table. 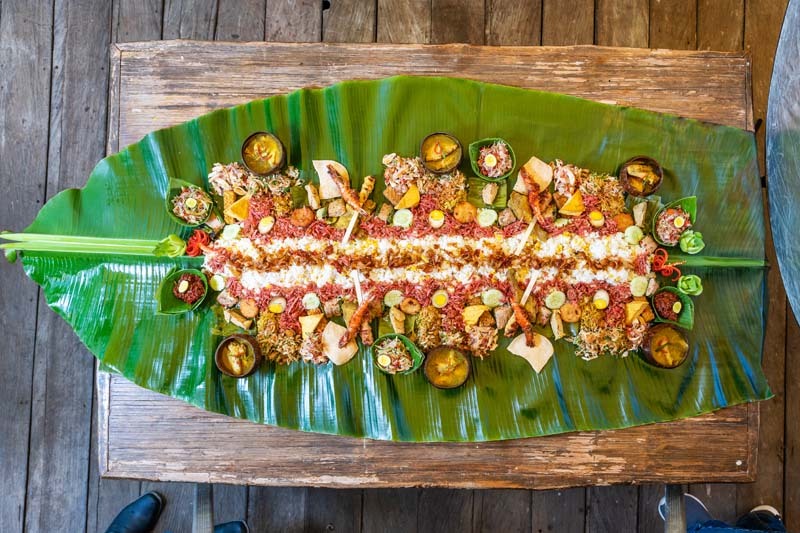 Other iconic dishes are jerungga salad, which is very similar to Thai green papaya salad but with local grapefruit, as well as spicy wafer-thin house-made beef slices in dendeng Wanaku. 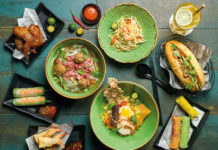 A selection of satays from across Indonesia, fried rice and noodles, as well as fresh seafood cooked as desired – including prawns, lobster and clams – also feature. 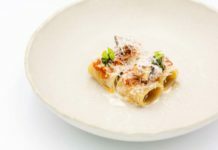 A kids’ menu and vegetarian dishes are also available. 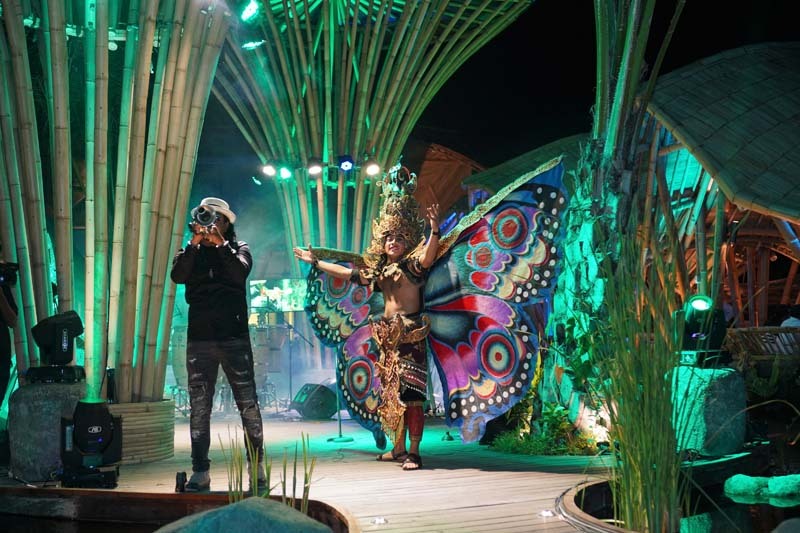 Wanaku is ideal for groups and events with a total capacity of 600 people. 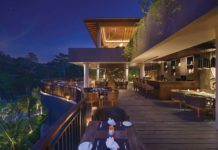 Whether it’s a small gathering of friends, a family celebration, corporate party or MICE event, there are gazebos that seat 10, the Wana Griya ballroom, the Nirvana VIP area – ideal for an intimate dinner or a karaoke session – the Wana Puri dining area, as well as the Wana Tirta wet dining area set in a shallow pool to keep the temperature down. Amid the gazebos and close to the ballroom is the Tuak Bar, a smaller venue than the main long bar in the lobby area. Whatever your reason for visiting Wanaku IndoAsian Cuisine, you are sure to find another reason to return. Clean the fish thoroughly, ensuring the stomach is also washed well. Cut the fish into 3 or 4 pieces and fry until semi-cooked. Separately, fry the spices and blend until smooth. Add coconut milk to spices and simmer. Add the semi-cooked fish to the spices and simmer gently for 10 to 15 minutes. Keeping the fish pieces whole, carefully move to a serving plate. Pour over the sauce and sprinkle with chopped fried shallots.